SAA's Arts Work series highlights an arts organization making a positive impact in its community: Listen to Dis’ community-based programming offers opportunities for participants to immerse themselves in the creation and production of various forms of theatre art, regardless of their physical abilities. This article was written by Wanda Schmöckel. JOHN LOEPPKY, MARIA DOYLE, NICOLE BEAR, AMMANDA ZELINSKI, AND NATASHA URKOW REHEARSING. Tonight, Listen to Dis Voice – a group of differently abled theatre artists – has met to prepare for an upcoming production of The Monster Monologue, written and directed by artist-in-residence Natasha Urkow – a production that draws from such well-known literary monsters as the Hunchback of Notre Dame, Frankenstein, and The Vampire Lestat. 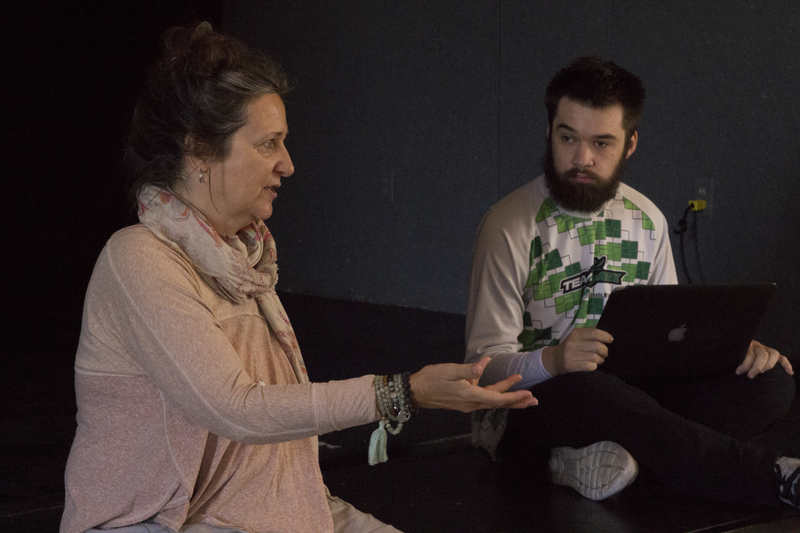 Urkow says the inspiration for the play came from her own experience of living with disability, and how she and her collaborators saw connections between their broader experience – feeling marginalized by mainstream society – and that of those misunderstood mythical characters. 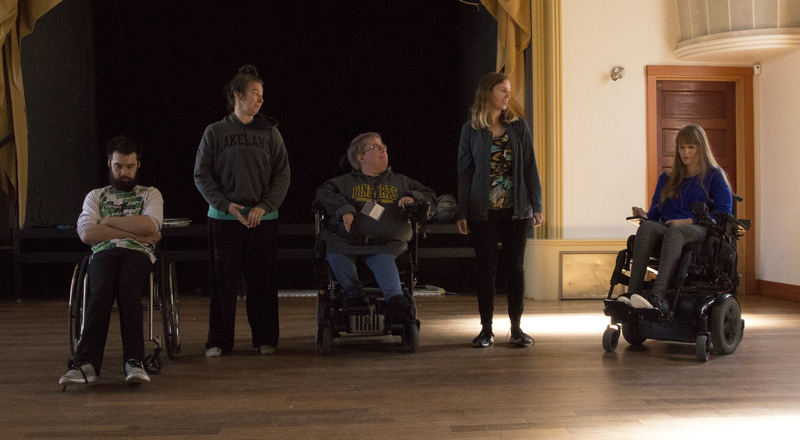 ​Founded by artistic director Traci Foster in 2006, Listen to Dis’ community-based programming offers opportunities for participants to immerse themselves in the creation and production of various forms of theatre art, regardless of their physical abilities. 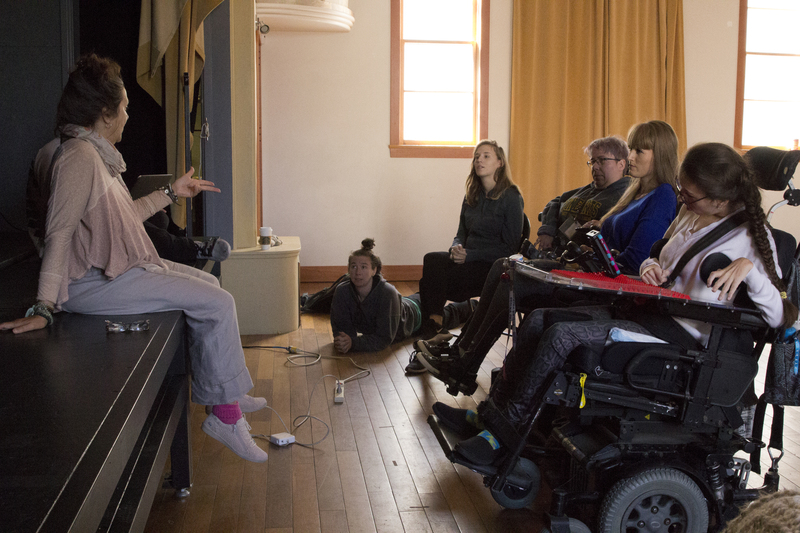 “Developing a voice to advocate for yourself on a day-to-day basis when you live with disability, that’s something that develops pretty quickly for a lot of people who participate,” Foster says. In addition to the Listen to Dis Voice group, which meets here weekly and is rooted in community theatre, the organization also runs The Other Ordinary collective, comprised of emerging and professional theatre artists whose past productions include Mine to Have and Neither Heroes Nor Ordinary People – both of which have been remounted several times, and continue to draw audiences provincially. Foster points out that, in the beginning, the Regina-based non-profit brought members of the community together to make art – now they increasingly find themselves making art that builds communities; Listen to Dis takes a holistic approach to accessibility in the arts – from accessibility audits that consider the mechanics of getting people through the doors of Saskatchewan’s myriad arts venues, to addressing the challenges of casting artists whose ability to participate in productions can change from week to week. Urkow points to the irony of working to render the often invisible visible through an art form that’s all about being seen and heard. Neither Heroes Nor Ordinary People completes its five-month provincial tour at the Mae Wilson Theatre in Moose Jaw on Sept 20, 2018. The Monster Monologue will be presented in Regina over Culture Days Weekend. Mine to Have will be remounted in Regina on December 2 and 3 as part of UN Day – International Day of Disabilities. Photo 1: John Loeppky, Maria Doyle, Nicole Bear, Ammanda Zelinski, and Natasha Urkow rehearsing. Photo Credit: Wanda Schmöckel. Photo 2: Founder and Director Traci Foster (left) speaks with John Loeppky. Photo Credit: Wanda Schmöckel. Photo 3: Founder and Director Traci Foster (left) speaks with members of The Other Ordinary (from l - r) Maria Doyle, Nicole Bear, Ammanda Zelinski, Nicole Bear, Natasha Urkow, and Kelsey Culbert. Photo Credit: Wanda Schmöckel.